It was her double-edged experience of working as both a stylist and a colorist (color specialist) that developed these multiple abilities. 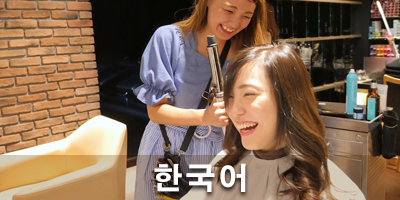 Currently, in her position as manager of the Azabu-juban branch, she is making full use of both Japanese and English to manage the salon. The fact that she is gaining popularity among a wide range of people, both men and women of all nationalities, is testament to the fact that she can capture the image of what the customer wants to be and provide advice on suitable technology that can be reproduced at home and make proposals for the next opportunity. Valuing each and every human encounter, she is currently developing the skill and stamina required to be a "beautician for life". 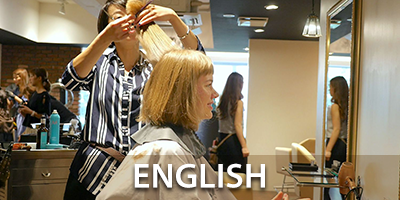 Through the experience accumulated in working at salons in England and France, she was able to steadily improve both her skills and language abilities before returning to Japan. This was not limited to the field, and she is currently utilizing the wide experience gained as an artist, actively participating in external photo shoots in London and Paris. Starting with the highlight technology acquired at its home in London, the radical hairstyles she can create based on her rich and varied experience overseas have made her popular among customers from a wide variety of nationalities. If you fall into the hands of Masaco, you will certainly be swept up in the unsolvable magic that is "beauty". Asuka joined SHINKA after returning to Japan, having gained practical experience in New York in America, and Vancouver in Canada. Her greatest strength is being able to deal with a wide range of customers from Westerners to Asians, and ladies to men's cuts. She has the high level of professionalism of a hair doctor, and as she is able to make proposals for styles that will suit the particular customer next time, they are able to always enjoy the most recent hair styles. Equipped with the sensitivity she nurtured overseas, she is a reliable stylist when you are looking for individual accents, such as multiple colors or a particular kind of class. Having danced from a young age, she is definitely the nimblest member of SHINKA. Her ingenuous character belies her bewitching atmosphere, and she is driven by a desire to improve as well as a sense of curiosity. Having been brought up in the city, she is naturally in tune with the latest trends, and this is a strength for her as a beautician. Many customers claim to feel "healed", and, requested for shampoos and head spas by both men and women, she is a "SHINKA lifer" popular staff member. 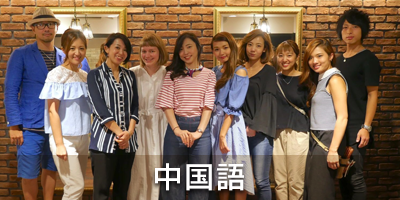 She returned to Japan after moving her life base to America in her teens and gaining proficiency in languages and the many areas of the hospitality field. It is not going too far to say that it is because her broad-minded sensitivity was able to go out and become exposed to the world at an early stage. 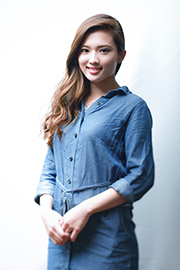 She is studying hard every day, learning Japanese technology from the basics, and aiming to become a beautician who is active internationally. 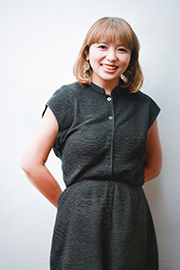 Using her linguistic ability to instantly create an atmosphere that causes customers from a wide range of countries to feel relaxed, she is an important resource underlying the values of SHINKA as a global salon. 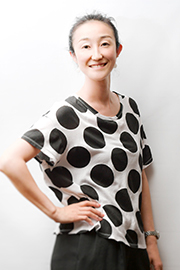 She joined SHINKA after studying hair and make-up, as well as English, at a school for nurturing specialists in Osaka. With her experience of providing hair and make-up in a diverse range of fields, including fashion and advertising shoots, and contests, she is a rough diamond who, although young, promises great things for the future. She has qualifications in make-up, hair arrangement, dress and eyelashes, she demonstrates potential in the field of total beauty. She not only possesses the ability to heal with shampoo and head spas, but, as a native of Kansai, she can also use her strengths in communication to bring a high level of service to her customers. Anju spent the first year in her career at the main branch in Sydney, showing growth in all aspects including her hairdressing skills and English. She has now returned to Japan and will start her next chapter of her career at the Tokyo branch in April 2019. Being a national competitor in cheer dancing during her school years, her bright and bubbly personality with a beaming smile instantly creates a fun and cheerful atmosphere. With great potential, we are all excited to see Anju continue to grow. Ayano displays her maturity through her cool appearance and calm nature, however once you see her smile, you are sure to become her fan. 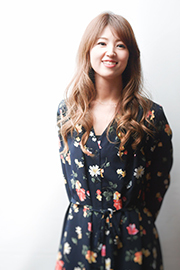 After spending a year in our main branch in Sydney, Ayano has returned to start her time at the Tokyo branch from April 2019 with confidence in her English and assistant tasks. With the ability to stay calm in any situation, Ayano, known as 'Ya-no', shows excellent stability and has become another valuable aspect of our team. 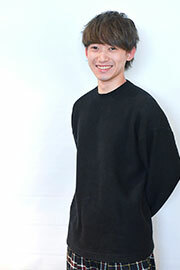 Katsuya graduated from Waseda Beauty Collage in 2019 and having a strong passion in working globally, he has joined the Tokyo SHINKA team from April to start his career in the hairdressing industry. With a strong sense of responsibility and kindness and the ability to work within a team environment through playing soccer, Katsuya is expected to grow quickly and become a strong assert to the team. As a receptionist and manager for our 2 branches in Tokyo, she ensures quality service and that every client is taken care of. 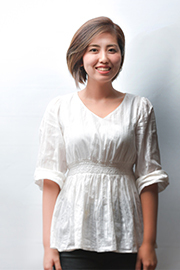 With her attention to detail and warm smile she has gained great trust from clients. 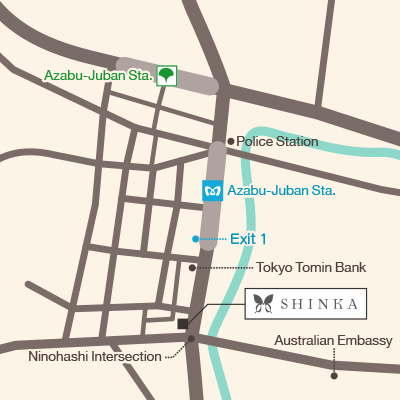 She had worked at SHINKA in Sydney and she has a great communication skill in English as well. As a specialist in customer service, she also writes a column for beauty industry magazine.